Mini grand prix karting is a great event for a bucks party. 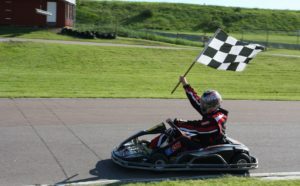 These go kart tracks and races are a unique way for everyone to have fun, no matter what you are looking for. 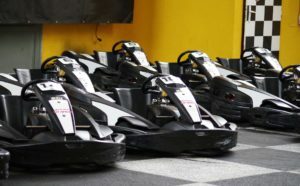 When it comes to a bucks party, there are packages for go karting that are designed specifically for this type of event, offering affordable prices and a variety of included features like pub crawls and other events throughout the city. Planning a party is no easy feat, but go karts are definitely a fun way to get out there and have some fun before you get too drunk at the various bars that you visit throughout the night. * Packages are based on a minimum of 10 people. Mini grand prix karting isn’t just for kids. This is a great activity for guys who just want to have a good time. Who doesn’t like racing, after all? It’s fun to compete with your friends and act like kids again with something as simple and fun as go kart racing. You can choose from so many different types of racing packages to have the time of your lives on your big day out, no matter what you have in mind. Booking a mini grand prix outing is affordable and often can include other events, allowing you to plan a great party from start to finish. When you’re looking into mini grand prix karting, you should check out all of the different packages and deals that are available specifically for bucks parties. That will make it easy for you to choose the package that is best for your needs. The most popular package is the Party bus package, which includes karting, a pub tour, and other events and activities to keep you and your guys going all day and night, no matter what kind of fun you are looking to have. With mini grand prix karting, you have to make sure that you find the perfect outing for your bucks day event. The last thing that you want is to book some kid-friendly go kart package without realizing it and have a lame time. Make sure that you get the big boys’ package that includes all the great bucks party events and venues that you want to enjoy on your day, regardless of what you’re looking for. Package deals are a great option and when you want something more fun, go karting is definitely a good way to send off your groom with a bang.